Home Giveaway GIVEAWAY: 1AVMonitor, the awarded remote surveillance software for free. 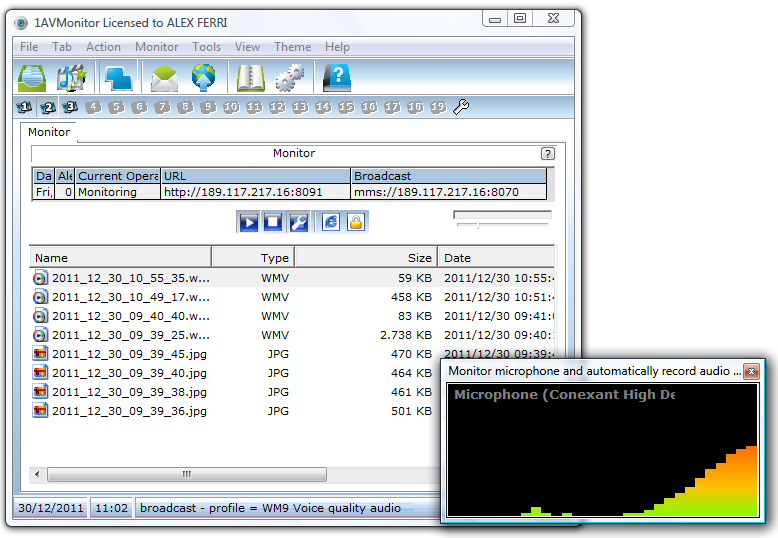 GIVEAWAY: 1AVMonitor, the awarded remote surveillance software for free. When 1AVMonitor starts a surveillance section it also starts a secure web server which produces an entire web site where after logged in you can view live video of what you are monitoring, a real-time picture, a slide-show , recorded files in WMV and WMV, and a key presser log, all accessible on your personal secure website. 1AVMonitor creates small files so you can use it all the time from when Windows starts until Windows is tuned off. Old files are automatically deleted by default 10 days after created but this could be any number. It is your parameter to choose. Don’t use fake e-mails because iif you do fake e-mails are removed once a month and your registration will be removed. Use your authentic e-mail and you will be able to reinstall software after PC crash or new PC.